Every once in a while, someone does something truly groundbreaking with Google Earth. Globe Glider is an awesome new application which integrates web mapping within Google Earth. 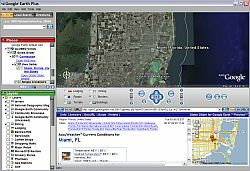 The application is used within Google Earth as a network link. When you install the application, you must have IE 6 installed (sorry Mac users), and you must enable scripting for it to work. You also need the most recent version of GE. This is all explained in the simple three-step installation instructions at globeglider.net. The author, called 'BernhardMuc', posted an announcement at the Google Earth Community, but I first heard about this at OgleEarth. This is the type of integration with Google Maps I expect we will be seeing in the future from Google themselves. In the meantime, make Globe Glider a part of My Places in your Google Earth. you guys are flippen awesme keep up the good work !!!!!!!!!!!! 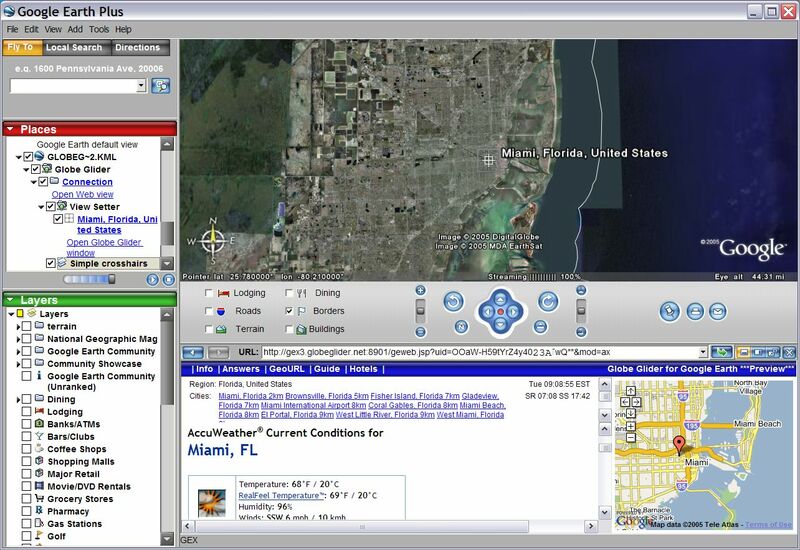 Actually, I just integrated GE with Google Maps directly inside a web page. *GE* directly inside a web page. It's a website for a circumnavigation and leaves markers in the map (w/rezoom and pan) from everyplace the embedded GE ActiveX control (requires seperate install and wraps the GE COM object) stops on the journey and draws polylines between them. They're also draggable. Just press the [Start Demo] button.